The recent Paizo sale runs through Sunday, December 1. 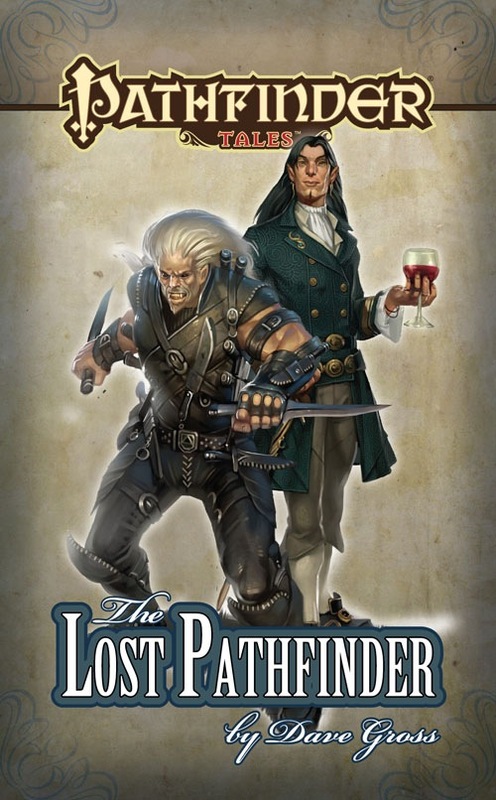 It includes the earliest Pathfinder Tales novels at a 50% discount. 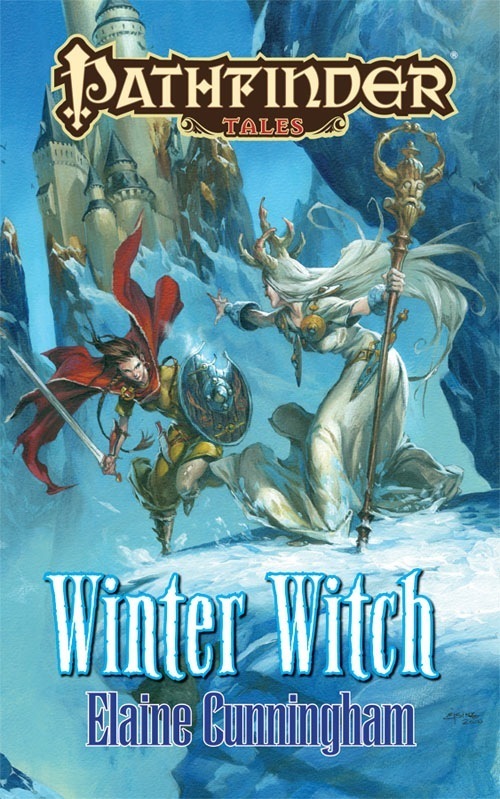 Both Prince of Wolves and Elaine Cunningham’s Winter Witch are particularly close to my heart, so I hope you give them a try. But why stop there when for $25 you can have the first five novels in the line? Since most readers first met the boys in Prince of Wolves or “Hell’s Pawns,” I’ve been waxing nostalgic about the times I wrote those stories. Here are a few thoughts on the first novella, novel, and short story featuring Radovan and the Count. I thought of the Hellknights as 30s-era LA cops. When James Sutter first asked me to pitch ideas for a Pathfinder Chronicle to accompany the Council of Thieves Adventure Path, I gave him four or five different ideas. One was a revision of a sketch I’d sent another editor a few years earlier. That editor failed to reply for eight months, then passed without explanation before quietly leaving the publisher. When James picked that revised pitch, I felt the hand of fate on my shoulder. Originally inspired by an idea in Infernal Affairs, the Hong Kong movie that inspired Martin Scorsese’s The Departed, the resulting story, “Hell’s Pawns,” bore little resemblance to either film. In fact, more readers have pointed to Village of the Damned as an influence, which in retrospect is almost certainly true, although I wasn’t conscious of it at the time. The femme fatale in the original outline was a vampire with her own agenda, but that subplot was one of the first elements to be discarded. Instead, because I’d been binging on film noir the month before James and I first talked, the plot took an even darker turn. Also, my original intention to tell the story in alternating points-of-view turned into the classic first-person, present-tense narration of a hardboiled anti-hero. Radovan’s voice emerged from those of about two dozen movie tough guys. For thematic reasons, I wanted both of my protagonists to be half-human and of illegitimate parentage. In fact, I had thought to include the word “Bastards” in an early title, but “Bastards of Erebus” was already one of the Adventure Path titles, so that was another early change. Radovan was originally a half-orc of Tian descent. Because Howard Andrew Jones had already called dibs on a half-orc character, and because my story was to be set in Cheliax, Empire of Devils, James suggested a tiefling or hellspawn, as we came to call them. That was the first of many good suggestions James offered, as well as the beginning of my speculation on what made Radovan different from others of his kind. Radovan’s name changed a couple of times, first because James felt a Tian character would be too unusual in the Chelish setting, later because I picked a name that began with V, and we didn’t want V&V protagonists. I wanted Varian’s bodyguard to be an outsider even in his human ancestry, preferably from a country with a strikingly different culture from Cheliax. It took me a short time to decide on Ustalav as the birthplace of his parents. “Radovan” was my second or third name choice, but the moment I wrote it down, I couldn’t imagine any other name fitting the character. Incidentally, both Radovan and Varian are real-world names. Most of the names I choose for Pathfinder Tales characters are real but less commonly used in North America. Varian was always Varian and a half-elf, because I wanted a character who had lived through several generations of the great changes in Cheliax. I picked House Jeggare from the campaign setting because of their fabulous wealth and the family history linking Cheliax to Varisia. It tickled me to think my wealthy nobleman might visit places with rivers and streets named after him, not to mention encounter statues of his famous ancestor, Montlarion Jeggare. One of the early ideas for the first novel would have taken one or both of the boys to Varisia instead of Ustalav. Starting Prince of Wolves was a struggle for a couple of reasons. First, I had four early chapters that delayed the beginning of the plot for far too long. Two of them died in a fire, and the others eventually became the short story “The Lost Pathfinder.” A similar thing happened later in Queen of Thorns. My other problem was deciding on the narrative style. 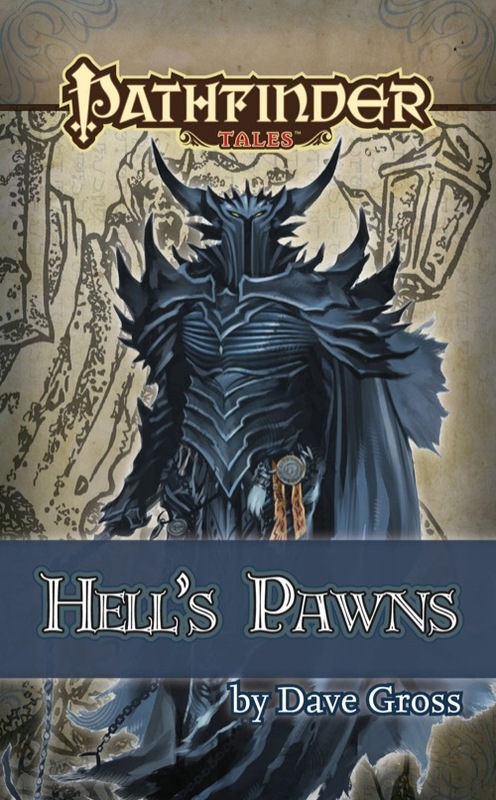 I didn’t want to continue with the present-tense narration of “Hell’s Pawns.” At the same time, I was considering a shift to third-person narration. I had Radovan’s first-person voice and was happy with it, but it took me three revisions of the early chapters to decide. It was one of those instances in which James’ advice was, “Just figure out which works best.” That didn’t make things easier on me, but once I finally worked out Varian’s voice, I was glad James had left me to work it out on my own. Third-person would have been a safer choice, but I didn’t want to abandon the intimacy of Radovan’s first-person voice. What I needed was to find a voice for Varian that was equal to Radovan’s but completely different. This proved an even greater challenge when I introduced a third POV character in Master of Devils and then in King of Chaos. I left the flash-forward, third-person, present-tense Radovan prologue in Prince of Wolves to act as a pointer past the exposition-heavy first chapter, a promise that action was coming. It makes the book asymmetrical, but I’m glad we left it in there. To me it feels like a movie trailer. While those early Varian chapters now seem a bit thick with fancy vocabulary and complex sentences, I’m also glad of the decision to tell his half of the story in first-person POV. His diction has since lightened up, even by the end of Prince of Wolves, but in the struggle to find his voice in those early chapters, I began to understand much more about his character. The epistolary approach scared James in the beginning, but I’d always planned to abandon it at the right moment later in the book. I knew it was a trick that would grow tired if I tried to do it every novel. Eric Belisle’s Count Jeggare is a perfect reflection of his character. While it’s chronologically before the novel, I wrote “The Lost Pathfinder” after finishing Prince of Wolves. A few elements of it came from the first few chapters I outlined but later discarded before writing the novel. Sometimes I wince to think of readers first encountering Varian Jeggare through that story, since he’s pretty much at his worst. 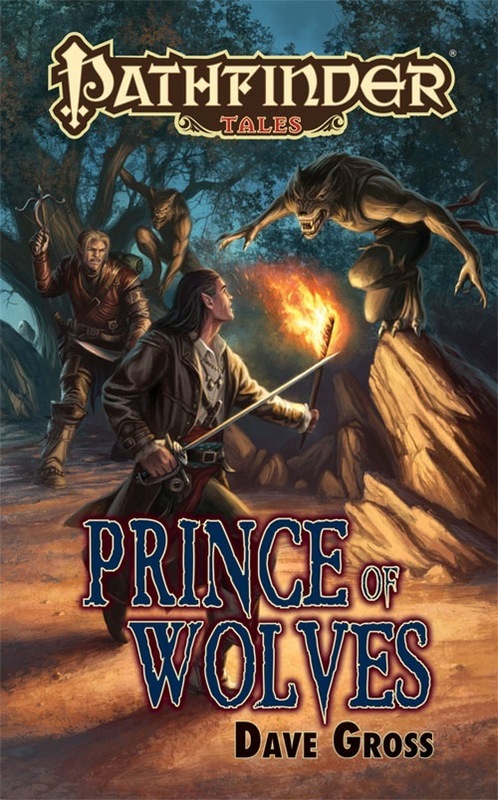 “The Lost Pathfinder” was one of the early title ideas for Prince of Wolves. It seemed even more appropriate for the story leading into the novel. I’ve often mentioned Universal and Hammer horror films as an influence on Prince of Wolves, and from the start I used “fantasy Holmes and Watson” as an elevator-pitch device to describe the boys. Only recently did I realize the influence of a similar heroic duo on the boys: Ham and Monk from the Doc Savage adventures. One is the slim, erudite man of letters, the other the brawny, crass man of action. Of course, Arnisant is Habeus Corpus, the pig. While I’m still suffering Con damage from Gen Con (with apologies to Robert Brookes for stealing his clever phrase), it’s time to get back to writing. In a few weeks, I’ll look back to writing Master of Devils. In the meantime, feel free to quiz me further, right here in comments.